On Sale Now! Free Shipping Included! 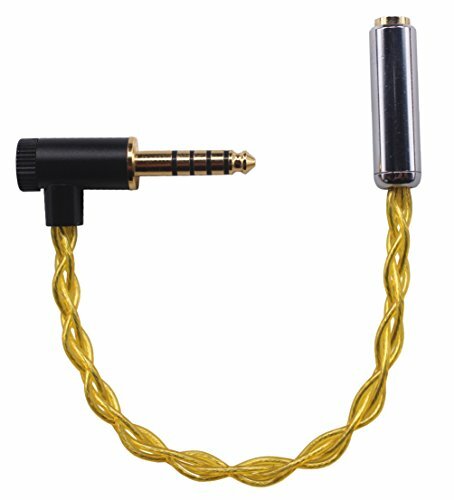 Save 10% on the KK Cable ER-EJ Headphone Audio Adapter, 4.4MM L-Shaped Male Plug TO 2.5MM TRRS Female Balanced Cable. ER-EJ by KK Cable at Right Clearing. Hurry! Limited time offer. Offer valid only while supplies last. Total Length: 19CM (0.6ft). High quality OCC wire. 4.4MM Male to 2.5mm Trrs Female Balanced Cable. View More In Speaker Cables. If you have any questions about this product by KK Cable, contact us by completing and submitting the form below. If you are looking for a specif part number, please include it with your message.